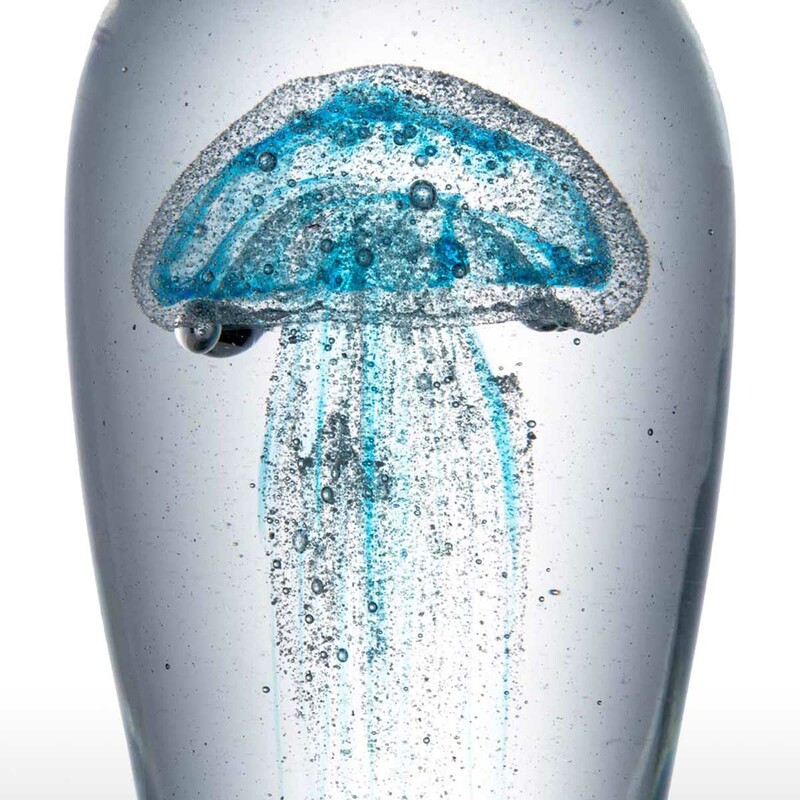 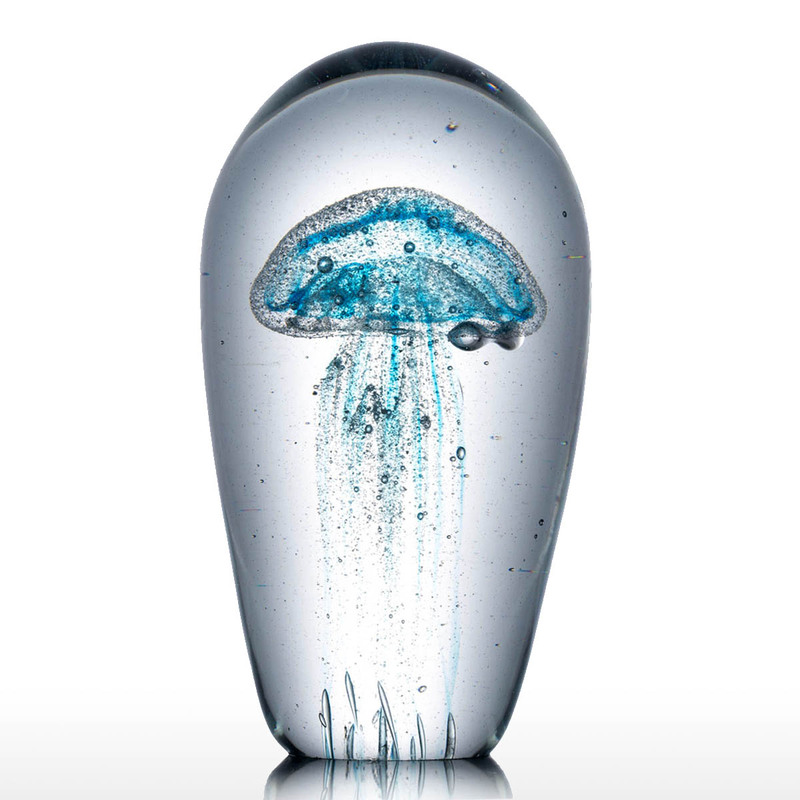 This is a jellyfish glass sculptures hand-blown by the artist. 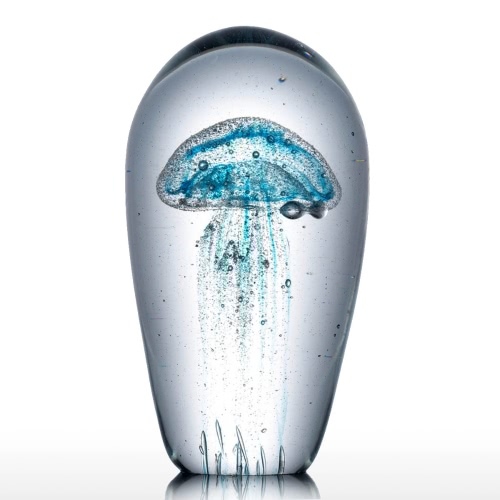 The jellyfish is very delicate: the high simulation body and feelers in the crystal clear glass, almost indistinguishable from a real one. 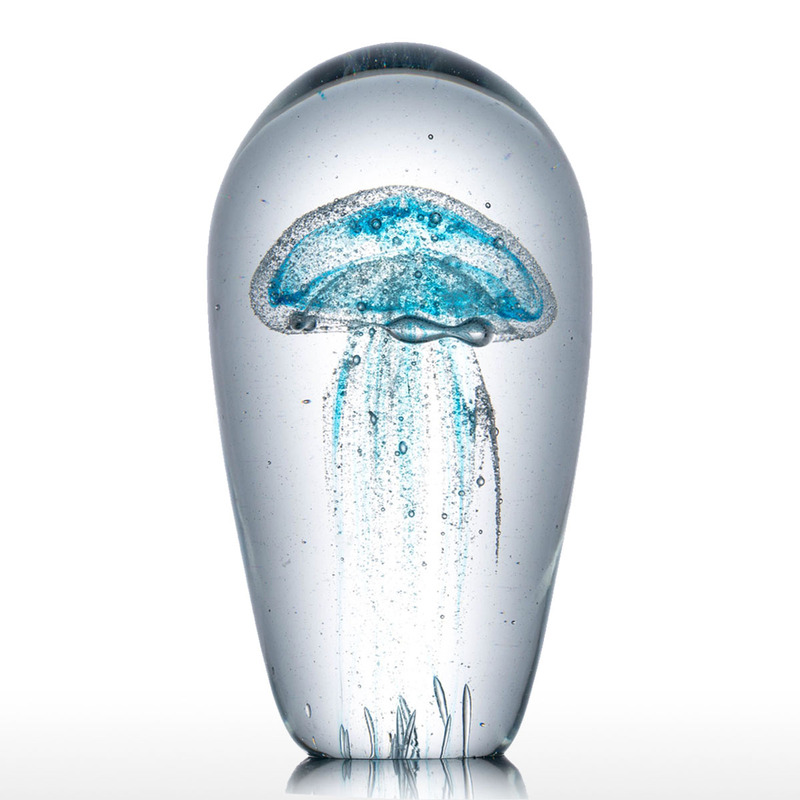 It can be used both as a decoration or a paperweight. 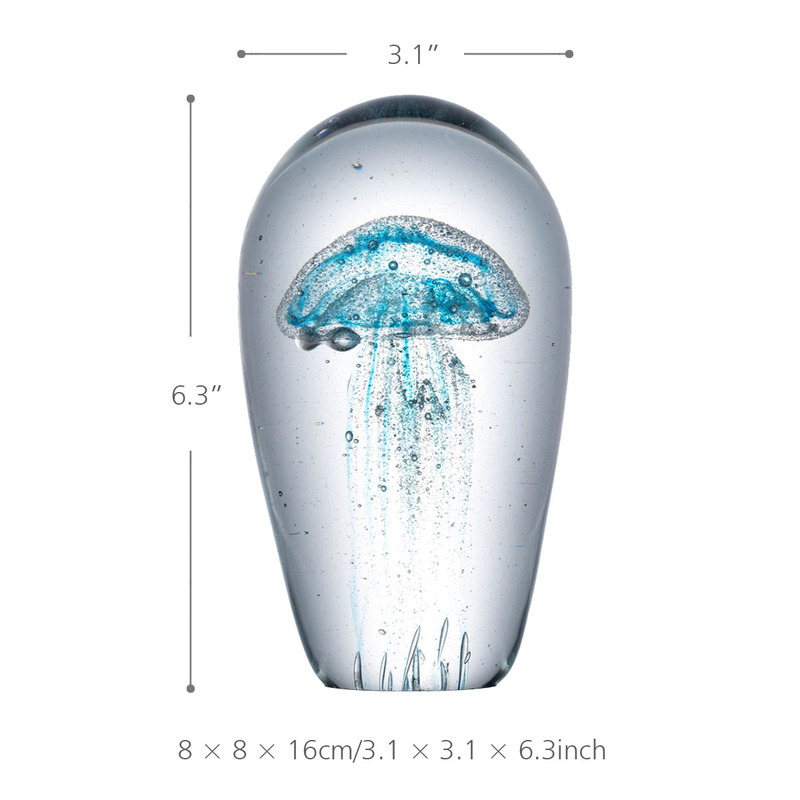 Suitable for living room study bedroom and other indoor spaces decoration. 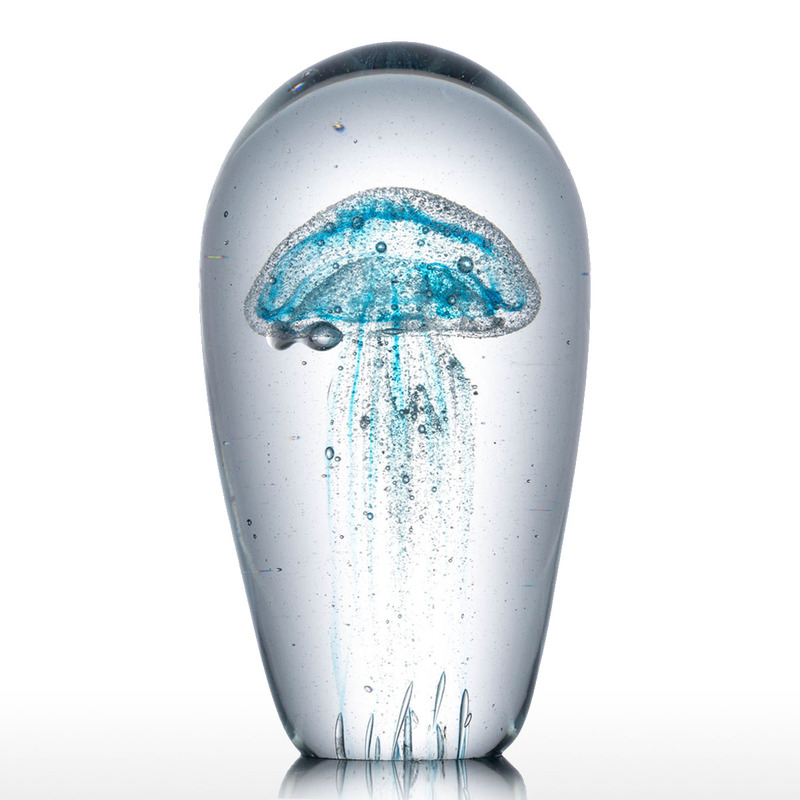 Smooth surface and crystal clear glass.